In this exclusive new video, we get our closest look yet at the Emperor's mysterious, menacing Messenger droid. However, you won’t have to wait until then to go hands-on with the game. 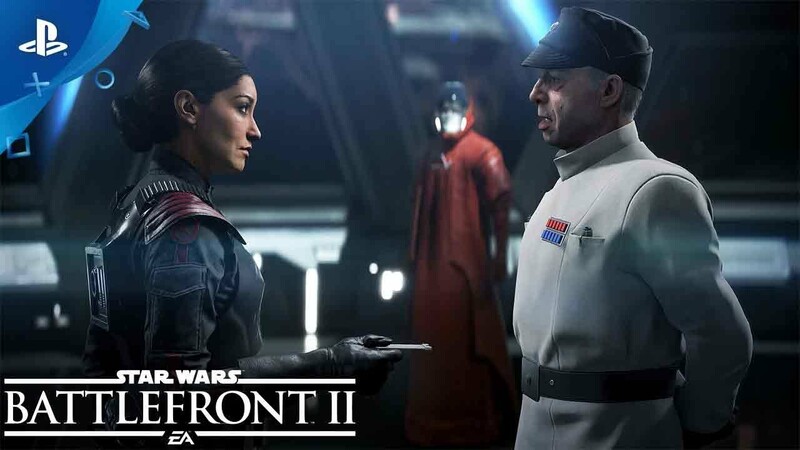 The Star Wars Battlefront II multiplayer beta* is coming October 6 (or October 4 if you pre-order). Stay tuned for more news leading up to the game’s release. *Conditions and restrictions apply. Click here for details. I’m looking forward to Battlefront II’s release! I pre-ordered a while back so next Wednesday, I’ll obviously be playing the beta. Sorry fellas. Looks very awesome, but no VR support of any kind, means I’m passing for something else this Fall. Sindred oh well next, there are plenty of new games coming with VR support. So glad I preordered this! The campaign looks like it’s high quality. I am hoping the couch COOP is robust and not as limited as it was in the Battlefront 1. Prebought, totally excited, but am disappointed about the previous VR teases and then not have them. I expect a Star Wars VR announcement soon because DICE have been working on it but haven’t been able to say what.